cn_4222 has no other items for sale. 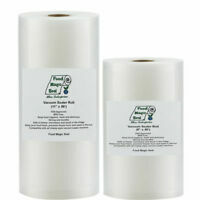 200 QUART 8x10 Bags Food Magic Seal for Vacuum Sealer Bags! Great Food Saver!